Members of Stratford Oaks Golf Club, their guests and visitors all need to be aware of possible dangers whilst playing on the course or the driving range. The information in this document is to help highlight and encourage safety. Please act responsibly at all times to ensure safety on the course. Players have a duty of care to behave in such a way that others are not injured by their actions. They also have a duty of care to ensure that they do not injure themselves. All players play at their own risk and should do nothing to jeopardise the safety of themselves or others. To help with the on-going review process of our safety procedures all members, guests and visitors are kindly requested to bring to the attention of the Director of Golf any incidents that happen on the golf course, or hazards they feel have not been addressed. 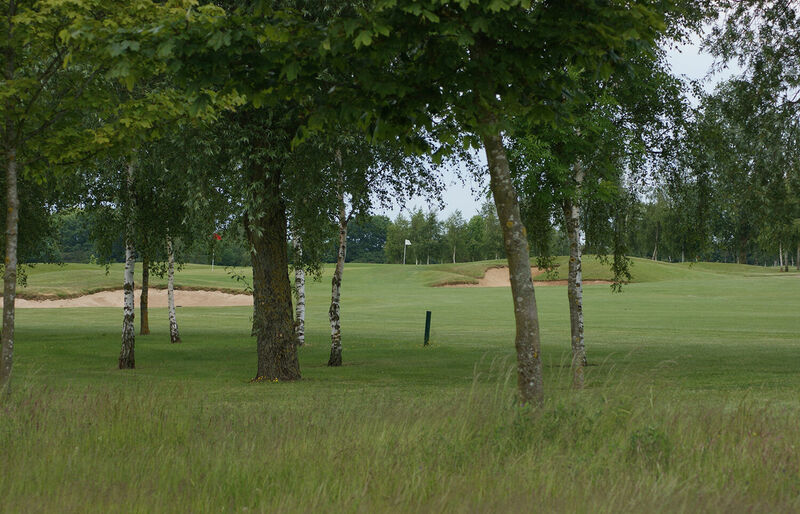 Stratford Oaks Golf Club provides third party liability insurance to their members whilst on Club grounds. This insurance is also extended to green fee paying visitors. First Aid Assistance: In the event of an accident, first aid boxes are located in reception, behind the bar, and in both greenkeeping workshops. There is also a defibrillator available behind the bar. If there is a serious accident phone the Emergency Services on 999 (the post code of the Club is CV37 0EZ). Please then call the Reception on 01789 731980. Accident and Incident Reporting: All accidents must be reported to the Director of Golf at the main reception for entry into the Accident or Incident Book. • Players must be alert to their actions and the actions of their playing partners that may cause danger to themselves, their partners and other persons in the vicinity of their swing and hitting range. • You must exercise caution at all times on the course in respect of identifying areas where you may be at potential risk of being hit by another golfer’s ball, or where your ball may hit someone else on the course, especially on those holes where the landing area is not clearly visible from the tee and areas where parallel fairways are played in opposing directions. 1st Hole - Wait until all the players in the game in front are visible on the upslope towards the green and then decide if they are out of range before teeing off. 2nd Hole – This hole is a dog leg left and if attempting to cut off the corner make sure it is safe to do so before teeing off. Be aware of players on the 9th hole directly ahead when teeing off if you hit a long shot. 7th Tee whilst players are on the 4th Hole on the right hand side. 15th Hole is a dog leg left. When playing the 15th, make sure that the bell (which is on the right hand side after the 150 yard marker) is clearly rung when you pass it. When on the tee, please drive off only when the bell has been rung by the game in front to signify that it is safe to tee off. If a shot is heading in the direction of other people, you must shout “FORE!” in a loud voice to alert them of possible danger. If “FORE!” is heard when playing, please take evasive action if possible. Course Signage: Must be observed at all times. Ropes and stakes protecting areas of the course must not be removed or crossed over. Greens Staff: Please ensure that they are in a safe position before playing your stroke. Under no circumstances must a stroke be played towards a machine showing a flashing yellow warning light, which is within hitting range. The Greens Staff are regularly working on the course when golf is in progress. Please be careful and courteous to them and ensure that they are aware of and have acknowledged your presence prior to playing in their proximity. Animal Holes: Stratford Oaks Golf Club endeavour to fill in holes created by animals. However it is inevitable that there will be holes made by burrowing animals that can lead to sprained ankles or worse. The Club cannot be held liable for any injury so caused and it is your responsibility to be observant and aware of possible danger. These holes are particularly prevalent on the 17th Hole fairway by the fairway bunkers where drainage lines are regularly burrowed by animals. Fertiliser and Insecticides: Do not lick golf balls or fingers at any time. A notice on the 1st Tee will advise of days that chemicals have been used on the course when particular care should be taken. Players are advised to take heed of the warnings and protect themselves. Out of Bounds: You are strongly advised not to attempt to retrieve balls that are hit over any boundary fence or onto the driving range from the 17th Hole and the 18th Hole. Steep Banks, Slopes & Paths: Stratford Oaks Golf Course does not have too many steep banks, slopes and paths but at all times players should take care when walking up or down these. Golf shoes must be worn on the golf course as they help with avoiding slips. When using golf buggies adherence to the instructions detailed on the windscreens of the buggies is also essential in respect of minimising risks in this respect. Ponds and Ditches: Players should only attempt to retrieve their own balls if it is safe and easy to do so. Buggies and trolleys should be kept well away from the edges of ditches and ponds. Steps: There are wooden sleeper steps to the tees on the 9th Hole and to the outside mats on the driving range. You are advised to use all steps on the course and driving range with caution, particularly in wet or icy conditions. Wildlife: Players should be aware that there is a potential threat from wildlife such as crows, wasps, bees and other biting insects on the course. Adders are also present on the golf course, and urgent medical attention should be sought if you suffer a venomous bite. When the course is open the decision whether to play is the sole responsibility of the player. This applies especially to weather conditions such as thunder and lightning, poor visibility and extremes of temperature. During inclement weather or condition, the fact that the course has not been officially closed does not warrant that it is fit for play. Therefore, members, guests and visitors should themselves determine whether they consider it safe to play. The following advice is designed to be of help and assistance and is given by the English Golf Union who are not liable for any damage or injury caused by the following of this advice.